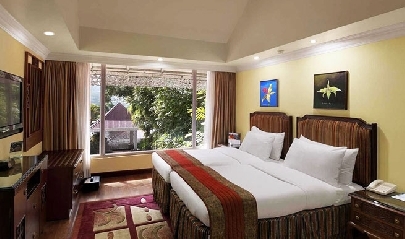 Placed in the capital city of Sikkim, MAYFAIR Spa Resort & Casino is one of the most popular luxury hotels in Gangtok, offering a comfortable stay to its guests. 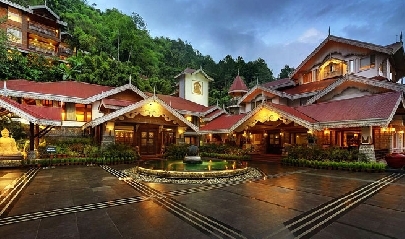 Boasting a wonderful surroundings of gigantic mountains and lush forests, this hotel has an impressive design and architecture that is a mix of Colonial and Sikkim’s Monastic theme. 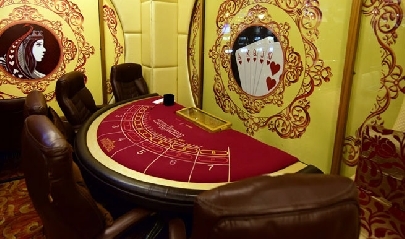 Winning accolades several times, the property is the country’s very first on-shore living gaming Casino. The hotel offers various activities and entertainment options for the adults as well as kids. An ideal stay option for families as well as honeymooning couples, the hotel boasts of modern conveniences, flawless services, plush interiors and world-class facilities. The Spa is world-class too. 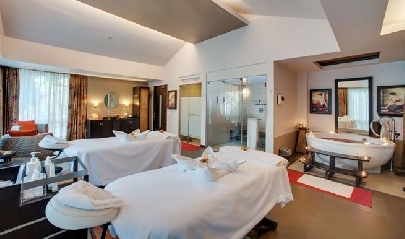 MAYFAIR Spa Resort & Casino, located in Ranipool has several categories of well-equipped and well-furnished guest rooms, cottages, suites and villas. 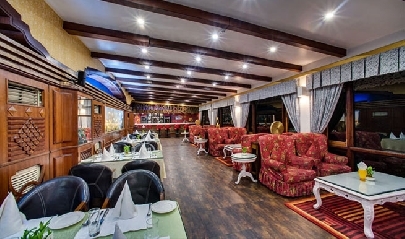 The hotel also features three fine-dining restaurants and two well-stocked bars serving a vast variety of cuisines and beverages. Leisure as well as business travelers, both enjoy impeccable hospitality. Overlooking the green surroundings around them, the deluxe rooms here offer a pleasant stay to the guests in the middle of a serene ambiance. Sip your morning tea and have light hearted chit chat while sitting in the sit out area or treat your eyes to the stunning views and let the cool breeze brush past your face while you are standing in your room’s private balcony. 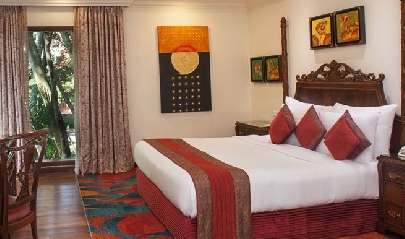 The spacious room comes with King-size or twin beds, comfortable couch, day bed, a separate work table, a dressing table with chair and antique mirror, TV with satellite connection, en-suite plush bathroom with plush toiletries and more. 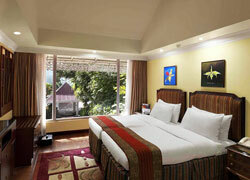 The huge cottage of MAYFAIR Gangtok is an oasis of luxury and intimacy, offering a comfortable stay. From the private balcony, savor lovely views and the cool breeze. These premium cottages have a huge beds, TV with satellite connection, telephone, comfortable furniture and all the other modern comforts. The attached bathrooms are huge, have round bath tub and other plush complimentary toiletries. If you love staying with your friends and family when you are vacationing, family rooms are just perfect for you. This accommodation has convenient connecting rooms and a huge sitting areas, ideal for memorable chit-chats and fun activities. 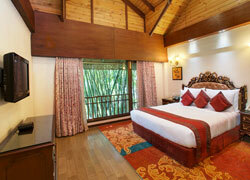 The private balcony of the room overlooks the green valleys and allow the fresh air to come in. The two bedrooms have all modern conveniences including king-size/ twin beds, TV with satellite connection, dressing table with chair and stylish mirrors, telephone, and so on. The bathrooms come with complimentary toiletries. 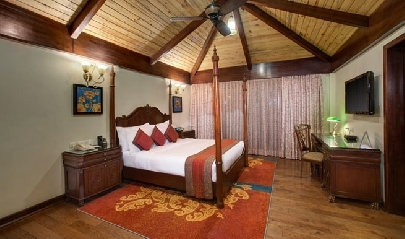 Spread in an area of 1200 square feet, the suite of MAYFAIR Gangtok comes with a private verandah, a balcony, a luxurious living area and a bedroom that boasts of a lavish décor. 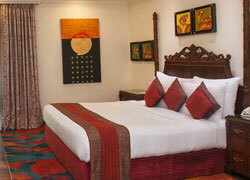 Have a memorable stay with your family amid all world-class comforts while enjoying all flawless services of the guests. Complimentary premium toiletries are a part of the huge bathroom. Telephone, TV with satellite connection, twin / king-size bed, etc. are all for your comfort. Royal / Regent Villa: Spread in 2000 square feet of an area, this villa comes with 2 spacious and well-adorned bedrooms. 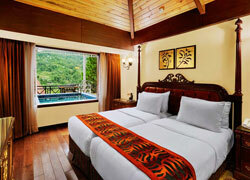 Crown / Oriental Villa: Covering an area of 2000 square feet, this villa comes with 1 huge and well-equipped bedroom. 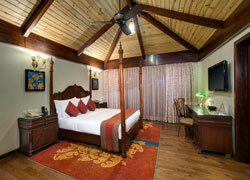 Spread in an area of 2500 square feet, MAYFAIR Gangtok’s Imperial Villas is a true charmer and has amiable décor. 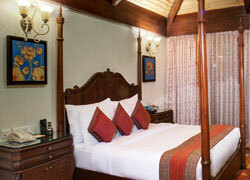 This accommodation option comes with two bedrooms all the modern comforts and a warm interior décor. The attached bathrooms have all the complimentary toiletries. TV with satellite connection, telephone, a work table with a chair, and so on. 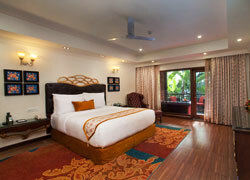 The luxurious Grand Villa covers an area of 3000 square feet and boasts of being an oasis of sheer luxury. The two bedrooms of the villa have all the contemporary comforts such as twin beds/ a king-size bed, telephone, TV with satellite channels, attached bathrooms with plush toiletries, a private site out area / private balcony for lovely views, a well-furnished living area and so on. Serving Indian, Continental and Pan Asian fares, Orchid is a fine-dining multi-cuisines restaurant. Sumptuous delicacies are laid-out in a huge spread. The restaurant also serves Macrobiotic Spa Cuisine, prepared by the chef using freshest of herbs and organic ingredients. A vibrant coffee shop, Jungle Café is an ideal option for some quick bites and sips. Sikkimese dishes are the highlight of this all day dining venue. This bakery serves tasty freshly-baked cakes, pastries and other delights. Offering a lovely view of the Rumtek Monastery, Rumtek Lounge serves a wide variety of hot beverages. Club your hot cup of tea or coffee with delicious refreshments and appetizers. Savor delicacies during à la carte breakfast, munchies and supper. Tonga Bar is a well-stocked bar that serves beverages, signature cocktails and refreshments on the Pool Deck. Live band during the weekends brightens up the ambiance even more. This is the perfect place to spend the night with loved ones. Order your choice of beverage, cocktail and, barbequed and grilled snacks while enjoying a swim in the pool. Admire the lively ambiance and treat your eyes to the lovely views.